Wandering the labyrinthine streets, indulging in rich coffee and gelato, and sampling local pizza and pasta options, are all parts of a magnificent vacation. In Venice, there is so much to see and do, where should one start? Perhaps you’ll enjoy shopping on the Rialto Bridge or relaxing in the Piazza of San Marco, there are many fabulous ways to spend your time in Venice. It is not uncommon for visitors to spend their entire trip in this magical city among the crowds of visitors, trying to navigate the intricate alleys and snapping photos at every picturesque turn. Most travelers who decide to visit Italy will pick Venice or Rome, as they are the more popular choices amongst tourists. However, these destinations do suffer from overcrowding and visitor saturation. However, like many historic European cities, Venice has many cultural secrets to reveal to the more dedicated adventurer. Venice’s local buses are actually boats, and a 12-hour travel pass is the only tool you will need to cruise around the local lagoon and explore some of the smaller villages that are quintessential to Italy’s history and culture. Find out more about transportation options in Venice here. Scattered throughout Venice, you will see floating bus stations where you can consult maps and timetables. From one of these terminals, cruise out to Lido, an island known among locals for its magical beaches. 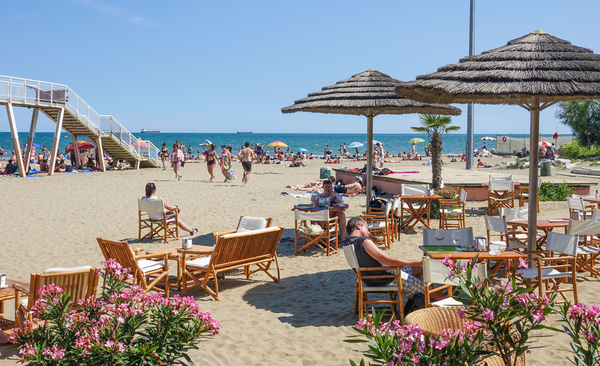 Lido’s environment feels a lot like a traditional beach town, with small hotels and the main street covered with beach clothing and toy suppliers, takeout pizza shops, and gelato parlors. 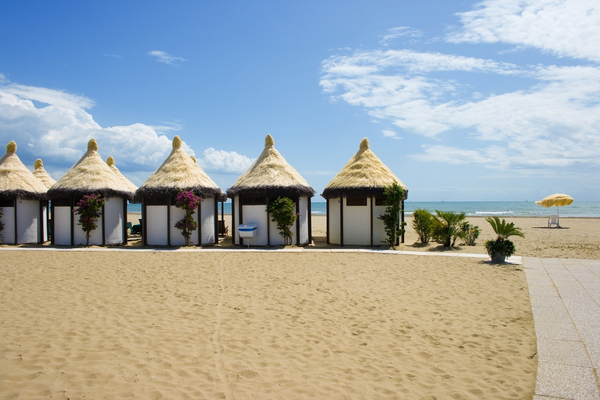 Many Venetians flock to Lido in the summer to enjoy a reprieve from the busy city and relax in the Mediterranean sun. From Lido, take another bus to the nearby island of Murano. This island has been famous for its glass making for hundreds of years and visitors can shop for glass lamps and jewelry while admiring the larger public sculptures that are scattered around the area. Many glass studios will open their doors to tourists and provide free demonstrations. 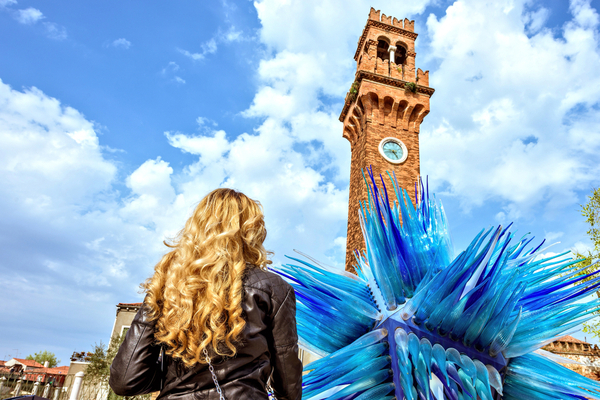 Murano also boasts two very old churches with a rich local lore, the Church of Santa Maria e San Donato and the Church of San Pietro Martire. You can also see the clock tower in the canal as pictured. 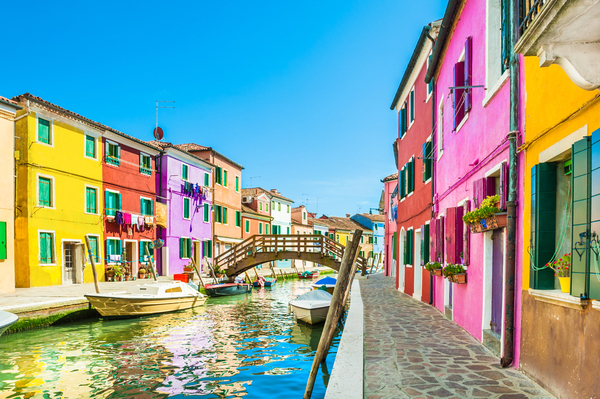 When you have finished exploring the beautiful handiwork of the glass merchants, catch a boat bus to Burano. One of the smaller attractions located in the Venetian lagoon, it is also one of the most picturesque. 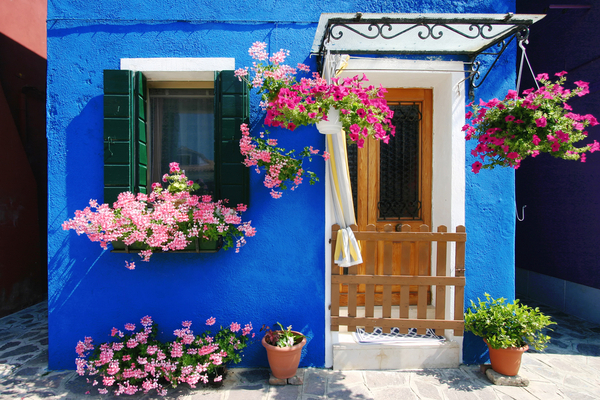 Burano is historically known for its lace and is immediately recognizable in photographs. Houses in this community have painted a variety of bright colors, making it an extremely popular destination for artists and photographers. The island’s inhabitants largely cater to tourists or work on small fishing boats. Depending on the amount of time that you spend on each of these unique islands, all three can be visited in one day and you can even be back in the center of Venice before dinner time. 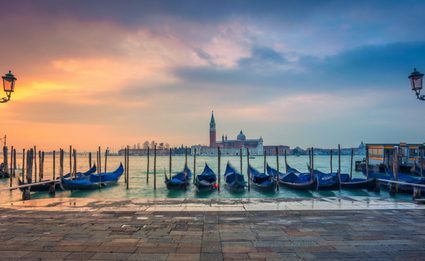 Enjoying some of these local islands will enrich your time in Venice and provide a learning experience about some of the smaller Italian communities that have existed for centuries. Should your travel itinerary bring you to Venice, make sure that you can put some time aside to wander off the beaten path and explore the lesser known Islands of Venice. Furthermore, the usual Venetian tourist traps can get very crowded in peak seasons. By taking this extra effort to travel slightly away from the city center you will be able to appreciate the beauty and magnificence of this historic city with a much more peaceful surrounding.